Alton Wylie Till of Perth-Andover, NB, formerly of Listerville, NB, passed away peacefully at Hotel Dieu St. Joseph Hospital on January 14, 2019. 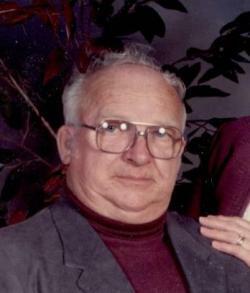 Alton was born in Plaster Rock, NB, on August 22, 1930. he was the son of the late Ernest and Barbara (McKellar) Till. Alton leaves behind his sons, Brian Till (Gale) of Listerville, NB, Eric Till (Kathy) of Perth-Andover, NB, Michael Till (Pam) of Listerville, NB; his grandchildren, Ernest Till, Patrick Loose, Joe Till, Joel Till, Zach Till, Amy Till, and Kayla Till; eleven great grandchildren; along with many nieces and nephews. 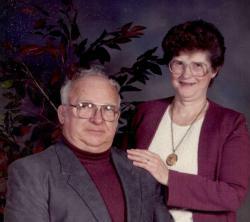 Alton was predeceased by his parents; his loving wife, Eva Till (Bishop); his grandson, Craig Alton Till; his sisters, Marie Walker and Barbara Till; and brothers Bill, Jack and Moffatt Till. Funeral service was held on Wednesday, January 16, 2019 at 2 pm from Brunswick Funeral Home. Father Stephen Harnish officiated. Interment will be in St. James Anglican Cemetery, Centreville, NB, at a later date. Music for the service was by Carol Andersen and Joel Till. The eulogy was given by Zach Till. Pallbearers were Bob Murchison, Ernest Till, Zach Till, Joel Till, Tanner Nicholson, and Patrick Loose.